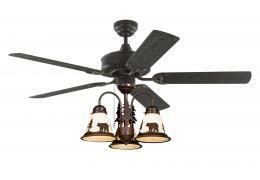 Fan comes as pictured with 6" downrod. * Fan has Royal Bronze Finish, Light kit has Weathered Pa..
With its antique design, this Ceiling Fan gives a nod to the past and an update to the future with..
Ceiling Fan includes antler light kit as pictured and flush mount hardware. Also includes hardware f.. 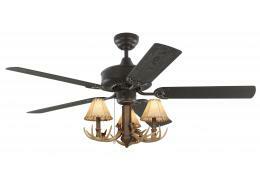 Fan includes antler light bowl, 4.5" downrod and mounting hardware. 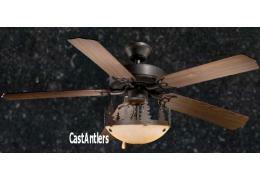 Fan has Bronze Finish.. 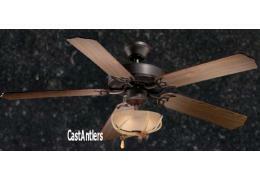 Fan includes antler light kit and 5" downrod as pictured. Can also hang flush w/ included hardw.. Fan comes with Light Kit and 4.5" downrod. 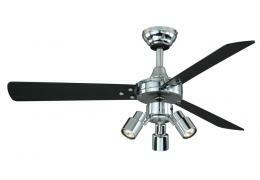 Includes hardware to Flush Mount the fan directly to .. 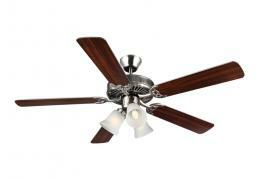 Fan comes as pictured with 6" downrod. Light has flake glass and pine tree edges. * Fan has.. 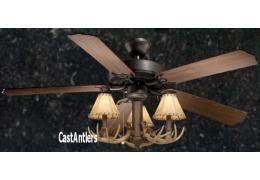 Fan includes antler light kit w/ Burnished Bronze finish, fabric shades, 4.5" downrod and mount..